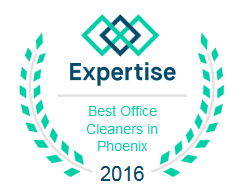 When it comes to commercial window cleaning in Phoenix, there is one name on everyone’s mind, and that is Arizona Window Washers. Our company does not only have years of experience in this business, but we also have countless satisfied customers, not only in the commercial but in the residential sector as well. We are far the most professional and reliable commercial window cleaning company in Phoenix and we guarantee that you too will find our services absolutely amazing. As we have mentioned before, our company has years of experience in this field, years of experience that have taught us just how important it is for a business to keep a professional image. This is precisely why we have decided to come in the aid of all business owners or commercial building managers in Phoenix and come up with a window cleaning routine that can satisfy even the most demanding customer. One thing you should know about our company is the fact that we are highly dedicated not only to meet all your window cleaning and window washing needs, but also to exceed you expectations. In order to do that, we have come to work with some of the best trained and most professional window cleaners and window washers in the area. Our professional experts are the best at what they do and they can always find effective solutions to any kind of issue. The will be no window left unwashed or not cleaned as long as our dedicated window cleaning technician are in charge. When it comes to commercial window cleaning in Phoenix, there are few companies that use the proper tools, not to mention the right window washing products. The great news here is the fact that Arizona Window Washers has invested its resources in finding the best window cleaning products and tools currently available on the market. We have both the professionals and the tools to perfectly clean the windows of your office or your commercial building. More than that, you should also keep in mind the fact that our company also has the best prices currently available on the market. We know how a maintenance budget works and we are able to work around it. One other thing that we can work around is your schedule. We perfectly understand just how important your activity is and that is exactly why we will never disrupt it. We will always make sure to do our job right before you start your day, or as soon as it ends. So if you are in need of the most amazing window cleaning services in Phoenix, you should give us a call. Arizona Window Washers is always at your disposal to answer all of your questions and talk about your needs.